Including video-based training in your onboarding program is just one way to promote the benefits listed above. Engagement is vital to creating exceptional onboarding experiences for employees. 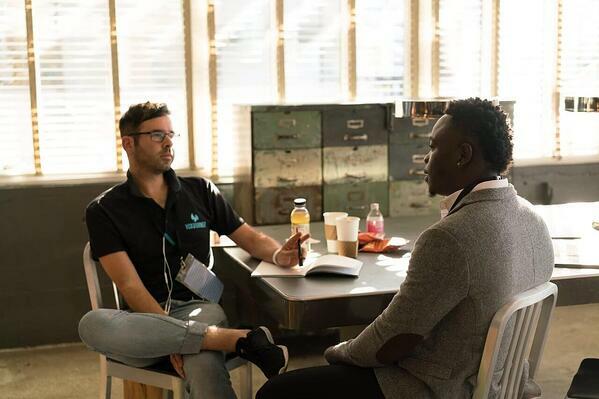 An onboarding program might be organized and have helpful content, but if it doesn’t capture the attention of your new hires, it won’t help retain them long-term. Including video-based training in your onboarding program is a cost-effective method to modernize, making employee onboarding more interesting and effective. Company leaders searching for simple ways to improve onboarding may be surprised to find that adding video to an onboarding strategy can make a big difference in the quality of a new hire’s learning experience. Video is highly engaging and increases retention -- As discussed earlier, the best learning experiences are the most engaging. Because it simultaneously delivers auditory and visual stimulation, video is perhaps the most engaging of all types of training content. Video is memorable, compelling and entertaining, which is why it belongs in your company’s onboarding program. No type of content lends itself to microlearning better than video. Administrators can break long videos into small chunks and deliver them to new hires as they are needed. They can then be combined with other types of learning content to drive home the objective of the onboarding segment. It is good business to craft an onboarding program that appeals to the majority of your new hires. Since many people love to consume video, it makes sense to align your onboarding strategy with their preferred method of learning. Using video in an onboarding program is a good way to prevent turnover, decrease costs and boost productivity. Since it engages learners, helps them retain information, lends itself to microlearning and accommodates the learning preferences of most people, video-based training should be an aspect of your company’s onboarding program. Promote video-based learning during onboarding? Combine video with other training formats to increase program effectiveness? If so, a learning management system (LMS) may be what your company needs. Video-based training is just one of the top corporate eLearning trends of 2018. 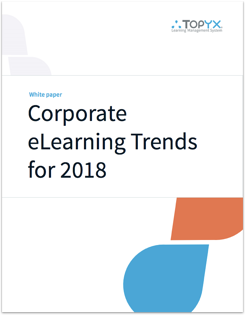 Read our white paper that looks at the trends you need to implement into your corporate training programs. WalkMe. 5 tips to reduce turnover and boost new hire onboarding. https://medium.com/walkme/5-tips-to-reduce-turnover-and-reduce-new-hire-onboarding-5c216382b1dd. SHRM. 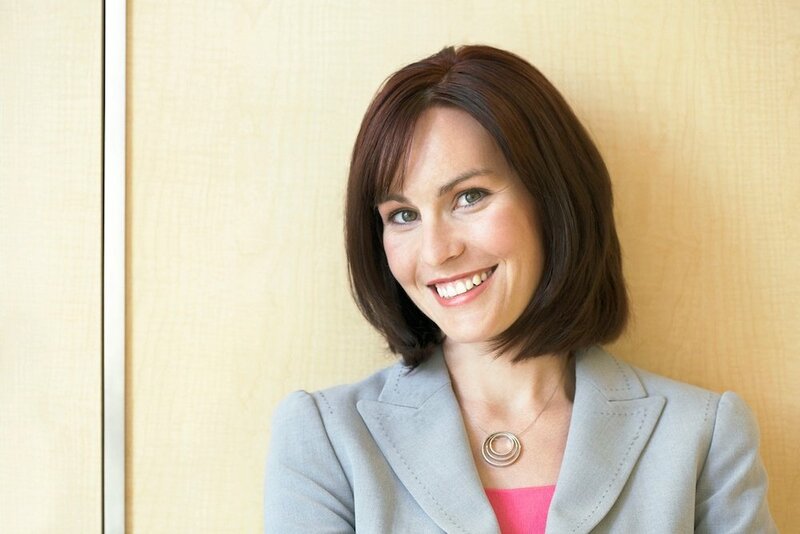 Onboarding new employees: maximizing success. https://www.shrm.org/foundation/ourwork/initiatives/resources-from-past-initiatives/Documents/Onboarding%20New%20Employees.pdf. 3, 6. HR Onboard. 4 shocking employee onboarding statistics. https://hronboard.me/blog/4-shocking-employee-onboarding-statistics/. O.C. Tanner Blog. An onboarding checklist for success (infographic). https://blog.octanner.com/editor-picks/an-onboarding-checklist-for-success-infographic. LinkedIn. 9 employee retention statistics that will make you sit up and pay attention. https://www.linkedin.com/pulse/9-employee-retention-statistics-make-you-sit-up-pay-attention-dodaro. Sheffield Audio Video Productions. 5 reasons we love video marketing. http://www.sheffieldav.com/production/5-reasons-we-love-video-marketing-and-you-should-too. eLearning Industry. 5 key benefits of microlearning. https://elearningindustry.com/benefits-of-microlearning-case-studies. eLearning Industry. Why video is the best medium for microlearning. https://elearningindustry.com/video-best-medium-microlearning.